(ALASKA.) 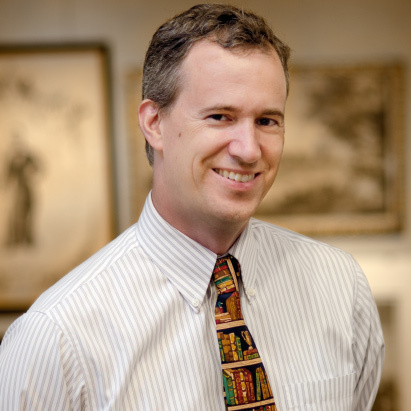 Morris, William Gouverneur. 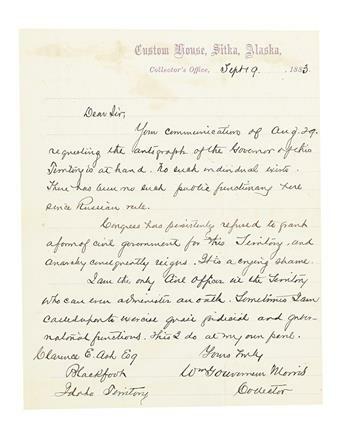 Letter describing the dire state of civil government in the Department of Alaska. 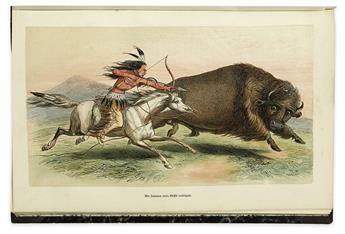 (AMERICAN INDIANS.) Catlin, George. Die Indianer Nord-Amerikas. (AMERICAN INDIANS.) Catlin, George. 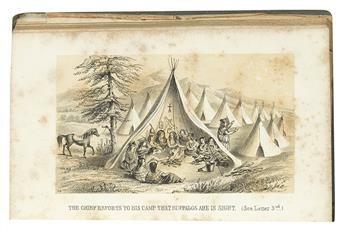 Letters and Notes on the Manners, Customs, and Condition of the North American Indians. (AMERICAN INDIANS.) Catlin, George. 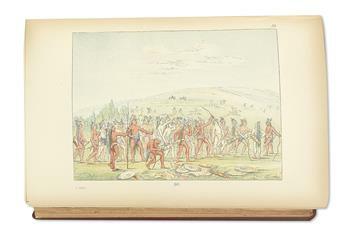 North American Indians, being Letters and Notes on their Manners, Customs, and Conditions. (AMERICAN INDIANS.) Colden, Cadwallader. 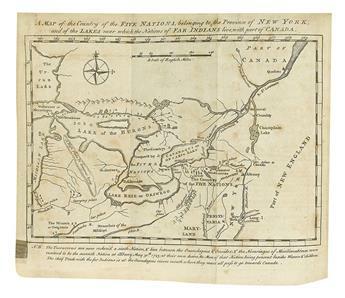 The History of the Five Indian Nations of Canada. (AMERICAN INDIANS.) De Smet, Pierre Jean. 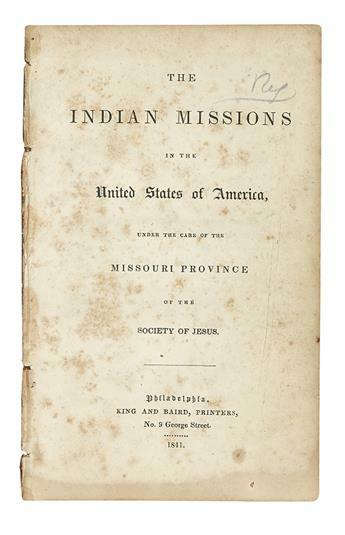 Oregon Missions and Travels over the Rocky Mountains. (AMERICAN INDIANS.) Hastings, Susannah Willard Johnson. 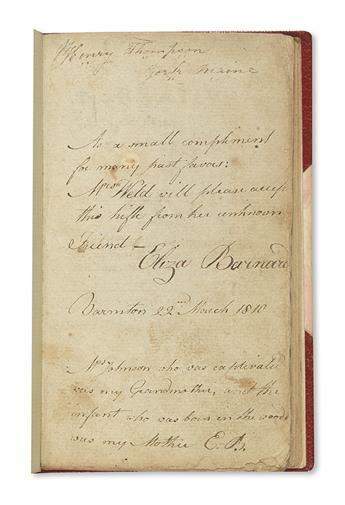 A Narrative of the Captivity of Mrs. Johnson. 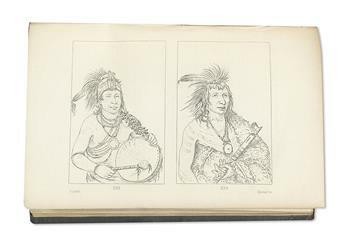 (AMERICAN INDIANS.) 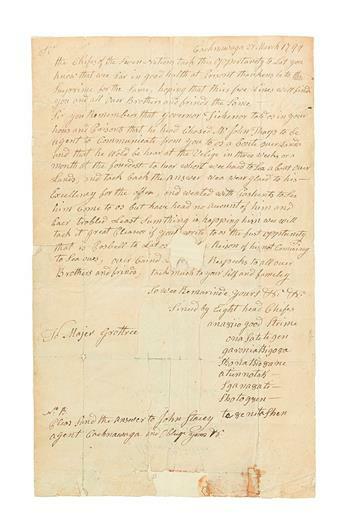 Petition of 8 Caughnawaga chiefs concerning their unsettled land claims in Vermont.